Close to Antibes, the hotel provides a perfect starting point for visits to the Côte d'Azur: enjoy the famous cities of Cannes, Nice and Monaco. Remember to check out the typical countryside villages of Saint-Paul de Vence, Valbonne, Mougins and Biot. From the hotel, the historic city of Antibes is 10 min by car, where you can check out the fortifications, Picasso museum, Juan-les-Pins Jazz Festival and Marineland. I have stayed many times at the hotel, but sadly it seems on the decline and is somewhat confused as to what it is since the refurb. The bar area is nice, but has come at the expense of a reception area. You never know who is actually working there when you walk through the doors. Staff also seem to have nowhere to sit and often take up tables in the bar area when it is full, meaning 1 less place for customers to sit. The restaurant a has also now become somewhat defunct and is dead space, while the quality and choice of the food offered has gone from good to below average. On this stay, the bar also closed at midnight and there was no flexibility on this. This never used to be the case and I have no idea why you would do such a thing with paying customers there. I often sit with colleagues past midnight while enjoying a few drinks after a days work, but it's no longer possible at this hotel. The newer rooms with the shower rather than bath are great. A much needed modernisation. The staff are also very good, but they need to be more visible. I only stayed there for one night. Everything was fine. Maybe the position of the room was not so nice, but for one night it was ok.
Room quality is acceptable. Wifi Coverage is fine. Welcome drink coupon is nice when you arrive late :) Location is fine for the access to my company's office. Cleanness could be better. My favorite place to stay in France for business! Very attentive staff. Clean, functional rooms, great ambiance in the lounge/bar. Fresh, tasty breakfast buffet. Lovely woods and a creek just outside. A perfect place for me to stay on my business trips to Sophia-Antipolis. Hotel is nice and has a recent refresh. Bar lounge area very comfortable. Very good breakfast (no hard small coffee cup but only plastic, a shame). But sound insulation is pretty bad in the room. I could hear my neighbor taking the shower, not easy to sleep with the jet lag. 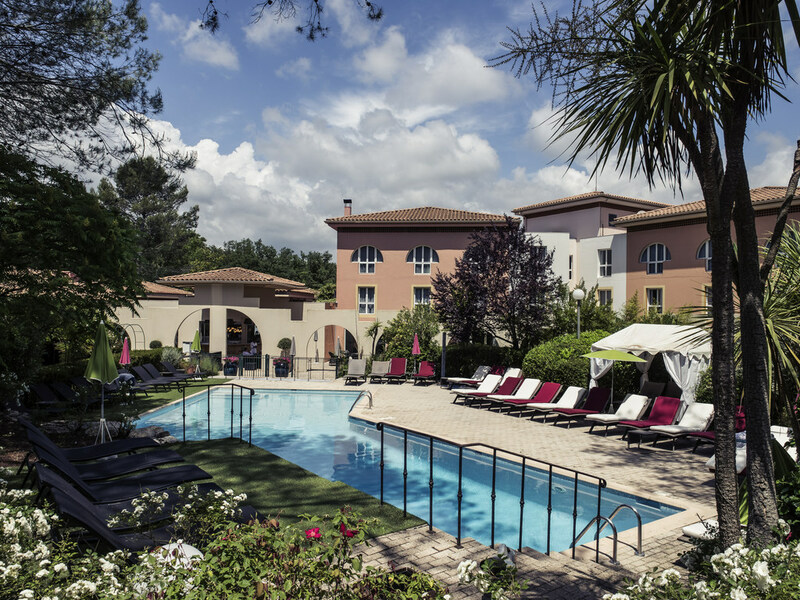 I always stay at your hotel during business trip to Sophia Antipolis and always enjoy it. The bathroom in the room I stayed at this time was an old one with a bathtub which I do not like very much. The room itself is great and the hotel is very nice since you have renewed the lobby etc. This hotel went through a partial renovation for months. It seems almost finished. This time I pre-paid my room when I made the reservation and got an old room, no renovation, same room as 15 years ago... Despite my loyalty status. The menu of the restaurant is OK--. The breakfast is very expensive and not even good (frozen patisseries). Not as enjoyable as previous visits. The hotel has obviously had a &quot;designer make-over&quot;. The lobby looks like a designer furniture showroom. &quot;Reception&quot; has disappeared. The corridors have an overpowering sickly fragrance. The restaurant was not open on Friday evening, even though the web page suggests it is open seven days a week. The experience was not what I expect at a &quot;Mercure&quot;. Awesome bar ! Very nice people. And rooms are big and nice. Would definitely go back ! Nice hotel, no reception but a big table. Live music on Thursday night. Day special in the restaurant on Thursday was the same as on Monday. Room cleaned really well each day. I enjoyed my stay every moment. Very kind staff, a nice cozy hotel with a very nice lounge area, bar and restaurant. The room and reception/bar was fine, but we had dinner on wednesday evening, and it was terrible. Not 1 person in our party of 10 or so were happy with the food. It really ruined the whole impression of the hotel. Would have given 9 or 10 out of 10 if you had decent food in the restaurant. Clean and tidy, albeit basic, room. The overall reception was great, staff is extremely friendly, the bar is great. I had recently mentioned that the choice of the menu was too limited, I think that this had improved, the choice was much better. I would still appreciate some more choice in quality red wine (similar to the IBIS restaurant next door where the wine card is very good). The room is very nice and freshly renovated. Concerning the breakfast - The overall offer is very good, but some details might be improved: The freshly pressed orange juice is very good but the normal orange juice was quite bad (I couldn't drink it, it was terrible); unfortunately there were no boiled breakfast eggs this time available; the coffee corner could be improved, it takes a long time because of required queuing and then the coffee machines are quite slow, I often preferred simply the american coffee for these reasons but that was often not very fresh. Besides these items, the breakfast is really nice, great cheese, great cereals, great fruit salad, etc. The hotel has very friendly and helpfull staff. It's a great location if you visit Amadeus. Used to stay in the Mercure that is now the Beachcomber and was surprised to end up in this one. Clean and standard renovated rooms, but the heating/air conditioning systems is aged and makes a huge noise. No way to sleep with the heating/cooling on. No safe in the rooms and no separate shampoo / shower gel, just one liquid in a distributor in the shower. Restaurant menu is a little disappointing and not sure it is locally prepared rather than pre-cooked menues. Ok for the price, but don't expect more.